Felicia Events spoke with Susie Cheatley, Event and Tournament Sales Manager at Lake Tahoe Golf Course, about their wedding options. 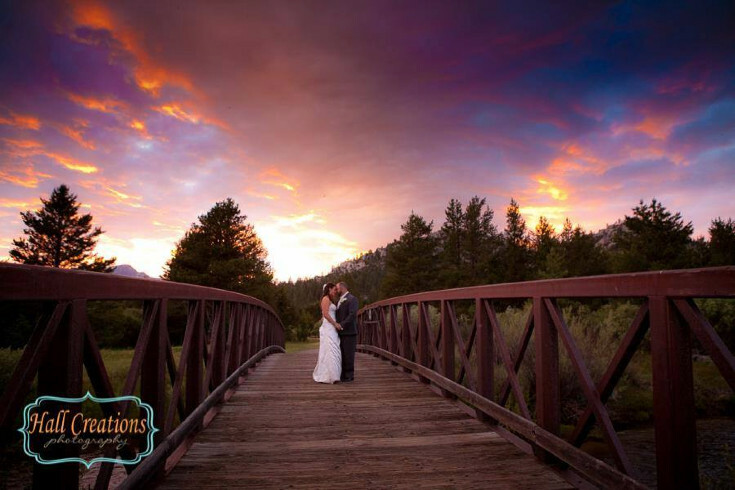 With forest and Truckee River views, it’s an idyllic setting for the wedding of your dreams. 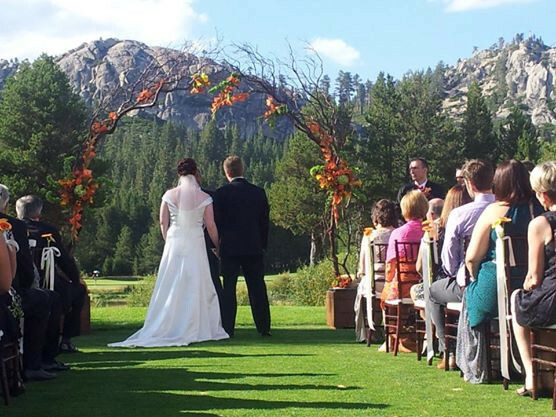 Felicia Events: Tell us about the setting and what the Lake Tahoe Golf Course offers for weddings. Susie Cheatley: The setting here is spectacular. 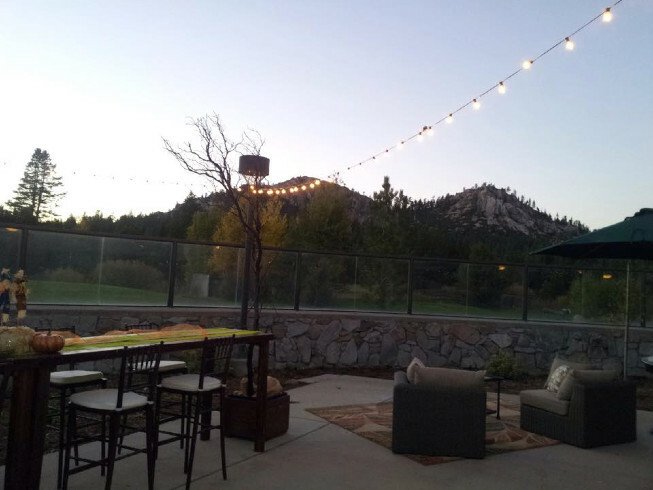 Located on a verdant meadow within a California State Park, this private outdoor patio and clubhouse is spread out beside the Upper Truckee River, offering an intriguing mix of landscaped grounds, surrounded by natural woods and views of the Sierra Mountains. The Lake Tahoe Golf Course Clubhouse, distinguished by a river rock base and steep pitched roof, has the flavor of a mountain lodge with the iconic Mt. Tallac visible behind it. FE: What are the benefits of having a wedding at Lake Tahoe Golf Course? SC: Seclusion and privacy are two KEY words I hear from my brides and grooms!With that comes ample parking for all your guests. You really feel like you are celebrating at your own private wedding lodge in the Sierra Mountain Forest! FE: Can brides bring in their own food, music, photographer, etc.? SC: Lake Tahoe Golf Course offers in-house catering with a variety of menus to choose from. We are happy to put together both vegetarian and gluten-free options as well. Other outside vendors, such as floral, photography, wedding planners, DJs, etc. are always welcome at LTGC. I am more than happy to recommend these services with local vendors as well! FE: Tell us about the Wedding Show Weekend. What are the benefits for brides who attend that event? SC: Wedding Show Weekend is going to showcase Lake Tahoe Golf Course’s Clubhouse for both winter and spring/summer/fall weddings! Some of the best local vendors will be here assisting us in setting the stage for the perfect wedding day at Lake Tahoe Golf Course. Did I mention the amazing food and beverage that will be on hand to enjoy? Or, did I mention the two $10,000 sweepstakes awards being given out to two lucky couples? Click here to RSVP and enter the sweepstakes. FE: What is offered in your special event packages? SC: Our accommodating staff will handle all the details so you can take a deep breath of alpine air and relax. Menus range from $39 to $69 per person and custom packages can also be created should you like something a bit different, or to further fit into your budget for the event. FE: Is the golf course open year-round for weddings? FE: Is there anything special brides should know about getting married at Lake Tahoe Golf Course? SC: At Lake Tahoe [Golf Cours] we host only one wedding at a time, so our staff is able to flawlessly execute each detail of your big day. We are able to host intimate events or grand celebrations, up to 200 guests. 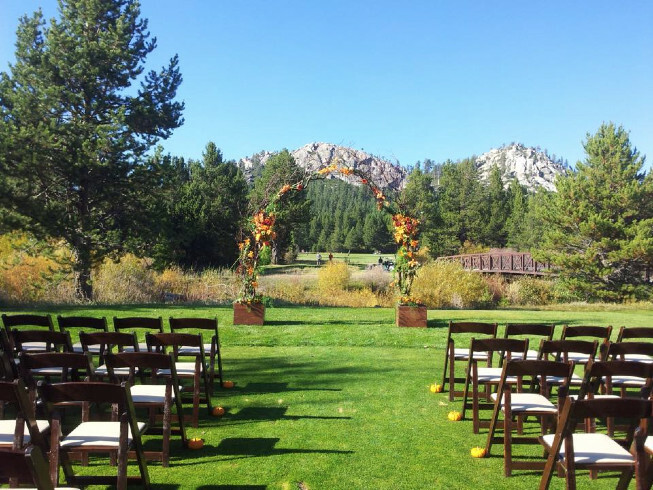 We have a GORGEOUS ceremony site on our 10th Tee Box offering amazing views of the Sierra Mountains, The Upper Truckee River and our lush golf course. For your cocktail hour and reception we have our covered patio and Private Clubhouse, which share the same breathtaking views. Some of the features of our recently renovated clubhouse include a built-in cherry wood dance floor, floor to ceiling windows showcasing gorgeous views of Mount Tallac, an 80” flat screen above the dance floor (to showcase your engagement photos, perhaps), and upgraded rustic décor. LTGC also offers golf tournaments for weddings, allowing families to come together for a bit of friendly rivalry during the wedding festivities. For more information about Lake Tahoe Golf Course, click here. Lake Tahoe Golf Course is located at 2500 Emerald Bay Road, South Lake Tahoe, CA 9615. Susie can be reached via phone at 530-577-0788, ext. 3 or via email at eventmanager@laketahoegc.com.